Mike Stevens was born in Marlborough in 1942. His family had moved there from London in the 1930s. Mike left the Wiltshire town to go to university but retained his contacts with the area until the death of his father there in 2002. He read Mathematics at what was then Queen Mary College of the University of London (Now Queen Mary University, London) . After his first degree he stayed on to do research and gain a Ph.D. in Algebra. It was during his postgraduate years that he married Wendy; they had been at school and university together. He was active within the Students' Union, and twice a delegate to NUS Conference. This must have paved the way forhis later trade union involvement of 23 years as an active member and later official of a trade union. Mike's interest in our waterways started in 1972 almost by accident, when out of curiosity Mike and Wendy hired a fibreglass cruiser called Varrich on the Leeds & Liverpool Canal for a holiday, with friends and relatives. By 1977 they were hiring two of three times a year, and decided to buy their first boat, Felis Catus, jointly with a couple of friends. By 1982, the boat needed a lot more work doing tha they had the resources to carry out so they went back to hiring boats regularly until 1990 when their next boatFelis Catus II was built for them.This was designed as a holiday boat for long-distance cruising, and it was always their intention to replace her eventually with a larger boat on which they would live and cruise continuously. As well as canal boating, Mike also had a great interest in Thames sailing barges. His first trip was on a charter barge, s.b. Reminder, at some time in the early 1980s. He subsequently joined what was then the Thames Barge Sailing Club and is now the Thames Sailing Barge Trust. His sailing with them was on club member weekends or private charters, some of which he organised. Spinning off from their interest in boating, Mike and Wendy joined the IWA. While Mike was teaching and doing voluntary work for the trade union he didn't have time to be much more than an armchair member, but after a change of job he became a volunteer for the IWA's London Branch. He started as its Minutes Secretary, and later became editor of its newsletter, Excalibur, and Branch Chairman. When London Branch was transformed into a Region with three Branches, he remained editor of Excalibur and became Secretary and Publicity Officer of the new South London Branch. He had two stints as Region Secretary and and also Region Information Officer, (a rôle that embraced publicity, publications, web-master & a few other tasks). He served on IWA London Region Planning and Navigation Committee, and organised the towpath walks they run in conjunction with The Original London Walks. He retired from all Branch and Region IWA posts in the Spring of 2005, after spending his last year on the South London Branch Committee as Branch Chairman. Mike was the proud recipient of the IWA's Richard Bird Medal for services to the Association over a number of years. Mike was involved with London's Canalway Cavalcade festival since its inception in 1983, at first simply as a programme-seller. Then he joined the management committee and was given overall responsibility for the event's publicity. Mike's voice was regularly heard until the 2007 festival as the public address commentator for the festival's various parades of boats. Mike and Wendy almost always went to the annual National Waterways Festival, either with their own boat, on other peoples' boats, or just visiting by train. 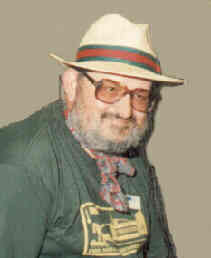 From 1994 until his last festival in 2007 he was editor of the daily newsletter at the event, assisted by Martin Ludgate, Glen Peckett and other helpers, mainly from London IWA and London WRG. From the beginning of his boating years Mike started developing an interest in waterways history and reading everything about it that he could lay his hands on. Around 1980 he spotted the need for a set of synoptic maps showing the waterways of Britain as a complete system evolving through time. He started doing some research from his bookshelf and compiling the information for this. Twenty years later this resulted in a series of web pages comprising over 200 detailed maps, which were published on his own website. These are now republished on the London Canal Museum website. Mike took an interest in the London Canal Museum from before it opened. For a while he was on the committee of the Friends of the Museum. Eventually that organisation was wound up when the Canal Museum Trust itself became a membership-based organisation. When he retired from the day-job, he became a volunteer at the Museum, and later joined the museum's Council of Management. He wrote or edited some leaflets giving background information to some of our displays. Later he took on responsibility for the recruitment and management of volunteers and also for education work. He contributed to the museum's development, including the London Waterways map, and tok on a range of other responsibilities. A memorial reception to remember Mike was held at London Canal Museum on 4th March 2008, attended by his widow Wendy, his brother Dereck, and around 90 friends and colleagues.